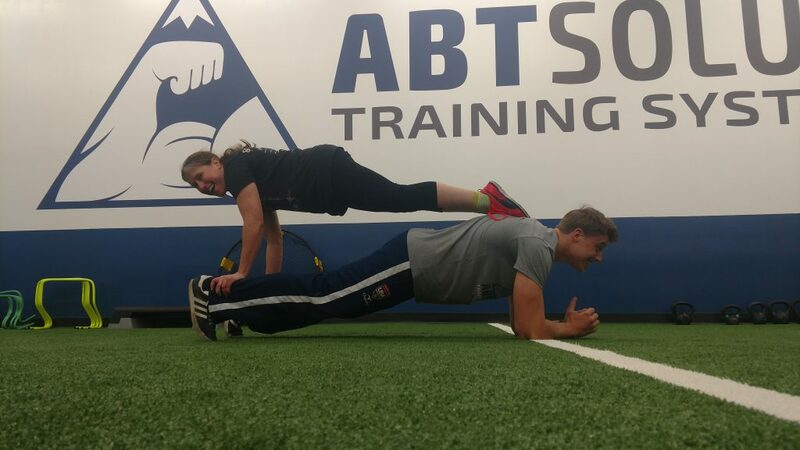 This month we have a guest post from ABTsolute Training! Andrew Abt and Zach Presto have been helping some Suburbia skaters get ready for bouting season with some specialized Sports Performance training at their state of the art facility. Here’s some plank advice from two of the buffest guys we know. Planks are a total body exercise. While the main focus of a plank is to help you develop a strong core and trunk, your shoulders, legs, and back muscles are all actively stabilizing and holding you up. Some of the major muscles you are using are the rectus abdominous, spinal erectors, anterior deltoids and glutes. Roller derby is a sport where you will make contact while skating. Often times you may be leaning, pushing or on a single leg, all while moving. Performing planks will teach you how to brace your core and will allow you to be much more stable during contact. Not only is it important for contact, but core strength will also help you with skating. Without core strength it is extremely hard to efficiently distribute your weight between your skates. Having great stability will allow you to increase stride length and crossover power. When doing planks, start out with either the push-up hold or regular front elbow bridge (regular plank). Start with 4×30 second sets and increase by 5 seconds every week. While doing planks, one major thing that is overlooked is glute activation. Make sure you are actively squeezing your glutes together during the entire plank. This helps brace your back and keeps your lower body engaged during the exercise. Make sure to also keep your abdominal muscles engaged. A good way to think about this is to pull your belly button back towards your spine. You don’t do this by sucking your stomach in, but instead brace your core by squeezing your ab muscles. When we were working out with Zach recently we couldn’t resist having some planking fun! Here’s Smashing Pumpkin, our head of Coaching and Training, and Zach making a plank pyramid! Look how much fun planks are!! Thanks to Andrew and Zach for the tips! 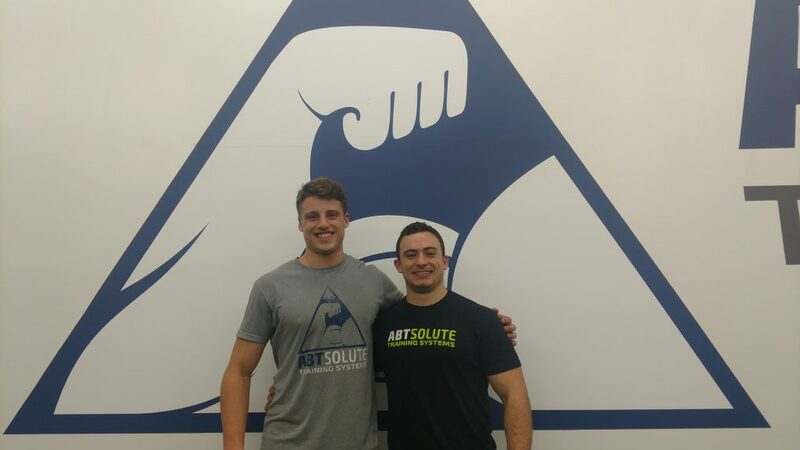 If you’re looking for some more personalized training, check out ABTsolute Training in New Rochelle! 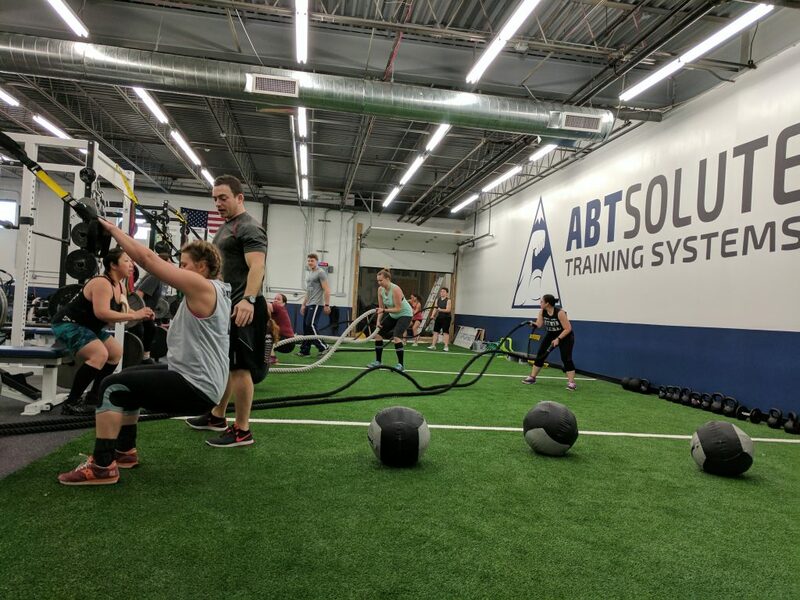 ABTsolute Training is an all-inclusive training facility. The facility is 5000 square feet and is equipped with the highest quality equipment. Andrew and Zach getting Suburbia skaters into shape!